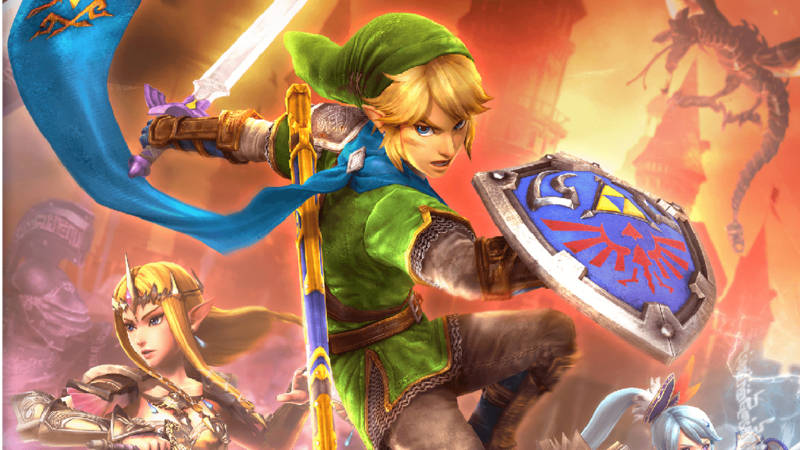 Hyrule Warriors was released recently and it marked a serious turning point in terms of Nintendo’s views and presence in the industry – or, at least I hope it was a turning point. You see, many multiplatform developers have begun to abandon the Wii U due to its lack of momentum. This is par for the course for Nintendo, who’s had to deal with this exact problem since the N64. However, with how fast the industry moves, they are at risk of losing big simply out of lack of volume. Nintendo has amazing first and second party developers, but there’s only so much they can crank out in a year. That brings us back to Hyrule Warriors. This is a partnership between Koei and Nintendo, and is essentially Koei’s Dynasty Warriors series with Zelda characters. Though it comes with all of the shortcomings of the original material, Hyrule Warriors oozes with charm, and, more importantly, allows Nintendo to fill another hole in its release schedule. With the rarely-discussed Fire Emblem x Shin Megami Tensei in development by Atlus, it seems like Nintendo could be loosening it’s tight grip on its franchises. With that being said, here are a list of five dream team mashups that I’d love to see in the future. 5. Blizzard – Warcraft + Super Mario Bros. While I was playing Hyrule Warriors, I noticed something: there’s never any real mention of armies in the Zelda franchise. This made it odd that Impa was running around with her own personal army, and the villains rarely had military support. What Koei did to combat this was to draft regular monsters in as part of the hordes. That got me thinking. In the Super Mario Bros. franchise, there are clear mentions of armies, particularly Bowser’s Koopa Troop. So, why not give Blizzard a chance to use an updated version of their Warcraft 3 engine to make a real-time strategy game using the property. I say Warcraft 3 instead of Starcraft 2 because of the hero support. I want characters like Mario, Peach, Bowser, Wart, Wario, etc. to be heroes with special abilities on the battlefield. Multiple factions are easy to imagine. The Mushroom Kingdom faction made up of various Toads, the Koopa Troop faction with Koopas and Goombas, a Subcon faction including Shy Guys, and Sniffits, a Wario faction pulling from enemies from the Wario franchiess, etc. There’s a huge history and tons of enemies that could be adapted into unique units. Warcraft 3 also had that adventuring aspect near the beginning of the match which could be tailored with Mario trappings such as coin blocks and the like. Altogether, I think it would be a match made in heaven. Metroid is an odd series. There is plenty of combat, but it mostly takes a second seat to exploration, as you traverse labyrinthian worlds. Sometimes, this comes at the expense of fun combat like in the first two Metroid Prime games where every enemy took so long to kill that I found myself not even fighting most of the time. But the combat is there and it has the potential to fly, especially when based on the solid 2D Metroid formula. This brings us to the Mega Man property, which is entirely combat-based, and shoved into a predictable, but refined model. What I’d like to see is a true merging of the two franchises in a game, i.e. having Samus’s helmeted face in the middle of a bunch of bosses. However, unlike Mega Man, I think each boss should be a much larger affair. So Ridley in one corner, Kraid in another, etc. Each stage could be the basic side scrolling Mega Man-style level, but with far more secrets littered around for those who are careful in their use of morph balls and bombs. There’s already a well-developed bestiary that could be employed for every level – Norfair level + Norfair enemies for Ridley for example. In addition, the power-ups Samus could get from bosses could be things like ice beams, wave beams, spazers, and other special weapons like super missiles. With Capcom’s almost complete abandonment of the Mega Man franchise, this seems pretty unlikely, but a guy can dream. 3. Square-Enix – Final Fantasy + Super Mario Bros. Yes, I realize that this happened, and that the resulting game was called Super Mario RPG: Legend of the Seven Stars. I want more. Back when Square was still putting out largely experimental one-shot games before they focused more heavily on their core franchises, they teamed up with Nintendo to give the Super Nintendo one of its finest RPGs (which was saying something since this was the system of Chrono Trigger). What resulted was a mix of off-the-wall comedy, and a very strong battle system, all tied together with a great premise, memorable characters, and a metric ton of charm. Subsequent attempts to catch this same spark have been mixed. While I don’t hate the Paper Mario franchise, it doesn’t even come close, and the Mario and Luigi franchise is infuriating to sit through, in my opinion. So, I’d like to see a sequel, one that would cement Nintendo’s ability to use characters from these games in their cannon. I mean, who wouldn’t want Geno in Super Smash Bros.? Or see the Axem Rangers appear in the middle of a regular Mario adventure? What I envision here is, in all honesty, more of the same. The original game was so good, that I don’t really see to much imperative in reinventing the wheel. I’d like to see more interplay between Square’s interpretation of Bowser and the rest of the Mushroom Kingdom as they have to once again pull together to deal with an external threat. But, if it takes seven plus years in development, it might not be worth it. I thought about making this another Capcom entry with Devil May Cry, but then I realized how foolish that would be. Bayonetta is a crazy game, about a crazy lady doing over-the-top and crazy things. At first blush, this doesn’t seem to have any connection with the traditionally serious-as-nails Zelda series. But then I took another step back. Link is constantly getting new weapons, each more impossible than the last. Oh, you got some gloves? Now you can lift boulders the size of houses! How about the spinning top? Just plug it into the side of a cliff and ride on! Here you go, Link, a stick… that shoots fire! The real allure once again is the fact that Bayonetta is a game that is totally focused on extremely well-done combat, whereas the Zelda series often sacrifices their combat for exploration. So, I’d like to see Link be imbued with some of the extreme combat of Bayonetta. It wouldn’t even be that difficult. Link has the big bads to fight, new weapons to pick up and expand his ridiculous repertoire of moves, and tons of sword-play experience. Tack on some Bayonetta-style humour and I’m sold. More importantly, given Platinum’s current relationship with Nintendo, this isn’t even an impossible crossover. 1. EA Maxis – SimCity + Super Mario Bros.
Have you ever thought that Princess Peach is too busy being kidnapped to actually rule her kingdom? Or perhaps Toadsworth is simply too incompetent to be able to run it properly? Well, I do too. SimCity is Maxis’, now a subsidiary of EA, great centrepiece if we ignore the much more popular The Sims series (ignore it). Add on the fact that the Mushroom Kingdom is populated by fickle Toads who probably would complain about things such as traffic, pollution, constant attacks by turtle armies and so on, and you have a crossover match made in heaven. There’s so much possibility for charm in this case. You need a loan? Well, guess who runs the bank? That’s right, Wario. The random disasters could be modified from fire and flood to ‘chain chomp getting off peg’, ‘bi-monthly kidnapping attempt’, or ‘the sun turned evil again and tried to swoop down.’ Residential areas could be made up of different Toad Houses. Police could be replaced by Mario buildings. Have a ghost prevention centre headed up by Luigi. Yoshi stables… I really could do this forever. The fact that there was a bowser attack in the SNES version of the original SimCity gives me hope. The fact that Maxis is owned by EA doesn’t. At all. Those are my top five, but what are yours? I know I ignored some of Nintendo’s more down-and-out franchises, which might resonate for you. I, personally, really hate Star Fox, and don’t see any company handling F-Zero in an interesting way… although, maybe a Captain Falcon and Cooking Mama crossover could really rake in the big bucks. Either way, let me know in the comments whatever pipe dream you might have for Nintendo’s franchises, or go a bit further and look at their second party franchises like Pokemon. A good idea. I simply don’t know enough about Animal Crossing, however, to really take a stab at it.